Hip and happening, Horse and Plow is located in the heart of the Russian River Valley in Sebastopol. The guest residence is located above the tasting room on two acres. The private room includes a queen sized bed, full bathroom, desk, large deck, fireplace, flat screen tv, and a couch. There is a small refrigerator/freezer and coffee maker. 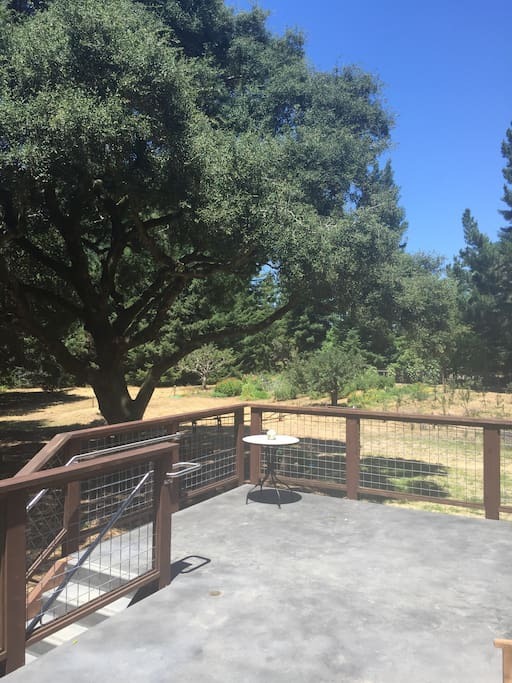 Only a few minutes drive to downtown Sebastopol or an easy bike ride or walk to town as well. NOTE: This retreat includes an afternoon reading event on Sunday March 10th. All other time is free to spend as you wish. Please Note: This retreat begins on a Saturday. Please be prepared for a reading event on Sunday March 10th, 2019. Housing Type: Apartment above tasting room. 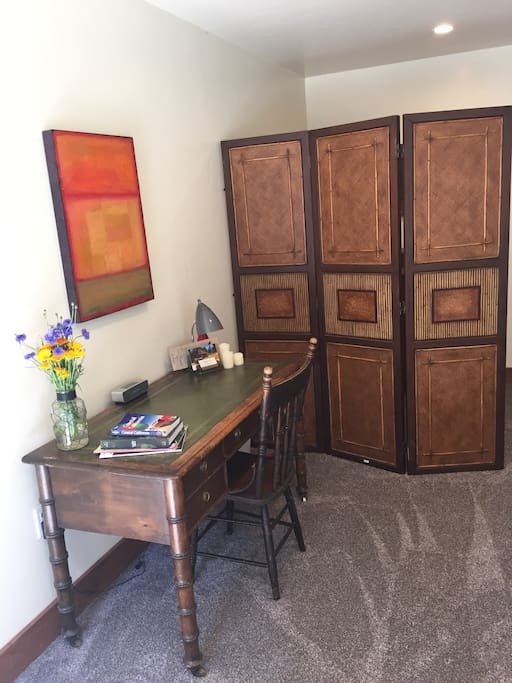 Furnishings provided: Bedding, coffee maker and refrigerator. Additional Details: NOTE: Apartment is located above tasting room, there may be noise occasionally during business hours. There will be a reading event on Sunday March 10th.